Meet Spice Market Levant. 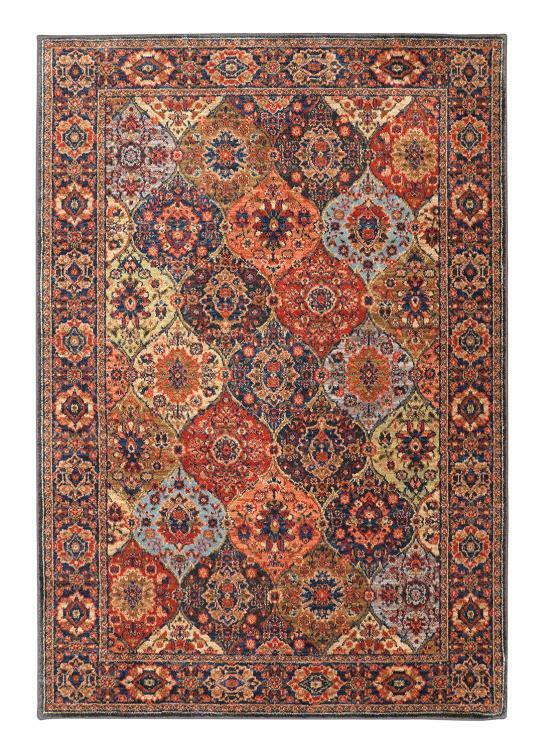 Just imagine the sun setting over a desert oasis, that's exactly the imagery conveyed on this rug. 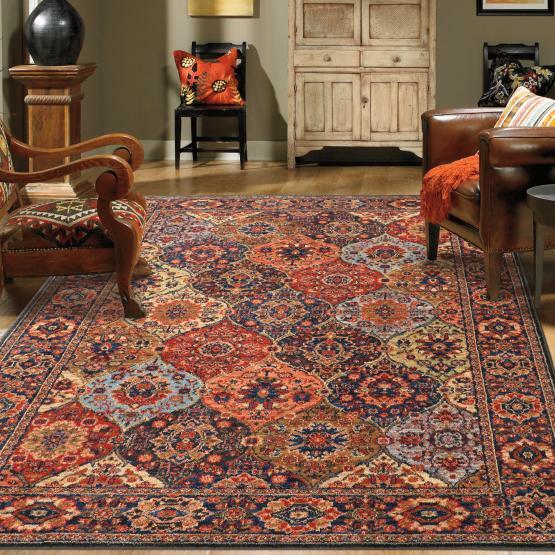 Adorned with vibrant jewel tones and floral motifs, featuring the Everstrand fiber. The Everstrand fiber is a premium polyester constructed with up to 100% post-consumer content from plastic bottles. Which are then converted to the highest grade of polyester yarn, making it very soft to the touch and stain resistant.